Here in Tennessee, Songs for Sound is a charity that works on a passionate objective. The charity help people seek the hearing healthcare they need. The charity provides free hearing tests and services, raise awareness and promote healthy hearing. Want to do something for the betterment of the society? Prepare for the hearing aid specialist licensing exam here in Tennessee and pass the exam to start working as a licensed professional right away. As a busy professional with 8 to 10-hour work schedule, it becomes difficult to study while working. You cannot think about leaving your job to study. However, this self-paced program gives you the advantage to study anytime, anywhere according to your comfort and convenience. Opting for online education further eliminates the need to travel to and from the college and endure unnecessary traveling, lodging, and miscellaneous expenses. So while you prepare for a career in the hearing aid industry, you can continue your daytime job and stay true to your commitments. For more than a decade, the Hearing Aid Academy (HAA) has been helping students acquire fundamental knowledge to pass their hearing aid specialist licensing exam here in Tennessee. When compared to the program offered by accredited colleges to help you become a graduate, the HAA online program is an affordable option. While the traditional setting cost you somewhere around $48,000 for a two-year course, you can save a lot of money by enrolling with the HAA online program as the monthly payments start as low as $199 a month. Further, you can complete the program in 3 to 6 months depending on your speed and start working as a licensed professional after passing the written and practical exam. We have experienced and qualified instructors on board who have more than three decades of experience as real life HAS. You will have one-on-one sessions with them to clear your doubts and work your way through the program in a hassle-free manner. Online programs such as the one offered by the Hearing Aid Academy are more effective than traditional programs because you can set your schedule and work your day around it. Moreover, you don’t have the luxury to fall asleep or get distracted as this is a self-paced program which can be completed as fast or as slow as you want. The program is divided into 31 modules spread over 100 hours of video training. Moreover, there’s no need to buy physical books as everything you need to know to pass the hearing aid specialist licensing exam here in Tennessee has been covered in the modules. When you register with the Hearing Aid Academy, you will get access to the first module. You need to pass the exam testing your knowledge to unlock the next module. This helps you get a better understanding of the subject. 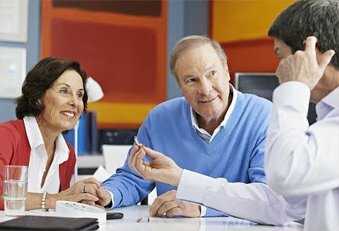 The hearing aid service industry is growing at a fast pace and the growth is not going to slow down anytime soon. There is an increasing need for licensed HAS but there is less number of licensed professionals. Many retailers such as Walgreens, CVS Pharmacy, Costco and Miracle-Ear are opening retail stores nationwide. With the generated vacancies, there are probably 5 jobs for every licensed hearing aid specialist. Along with vacancies, advancement in technology is also playing a vital role. Over the past few decades, manufacturers have been successful in designing smaller effective hearing aids. This made it easier for more number of people to choose hearing aids. Nowadays, virtually invisible hearing aids are present. So one may be using it but nobody will know about them. With reduced cost, small design and high quality, the demand for hearing aids continue to rise. The Hearing Aid Academy prepares you for the hearing aid specialist licensing exam here in Tennessee in less than 12 weeks. We are your one-stop-solution to prepare for the exam. With the 100% online program, students can study at their pace and become licensed professionals in about 3 to 6 months. The Hearing Aid Academy online course takes much less time, commitment and money than an accredited university or college. Moreover, the academy is proud to offer financial assistance to those who qualify for the program. The hearing aid service industry is growing at a fast pace and this is your chance to become a licensed hearing aid specialist in a few months and enjoy a fulfilling career that comes with great income potential. Pass the written and practical hearing aid specialist licensing exam here in Tennessee administered by the International Hearing Society and start your practice as a licensed professional. Work flexible hours and earn as much as you want. Call (903) 487-0097 email at admissions@hearingaidacademy.com to get in touch with our admission representative.